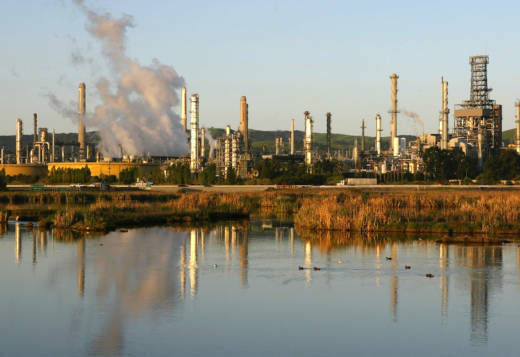 A public health advisory issued early Friday morning for residents of Martinez and Pacheco has been lifted following a "flaring incident" at the local Shell Refinery, officials said. The advisory warned about "a potential for odors" that could impact those with respiratory conditions. Residents who experience eye, skin, nose or throat irritation were advised to go indoors and rinse out the irritated area of their body. The Community Warning System, operated by the Contra Costa County Sheriff’s Office, issued the alert around 5:45 a.m.
"There is no further concern for people with sensitivities in the area and all normal activities can be resumed, "the sheriff's office said on their site. In a statement, Shell described the incident as a “unit upset" but did not provide specifics.